You must submit a utilities service request at least 10 business days before you connect a new water service or relocate, replace, alter or disconnect a water service. There is a fee of $50 per water shut off and shut on. Problems in the water service between your premises and the water main are the property owner’s responsibility. 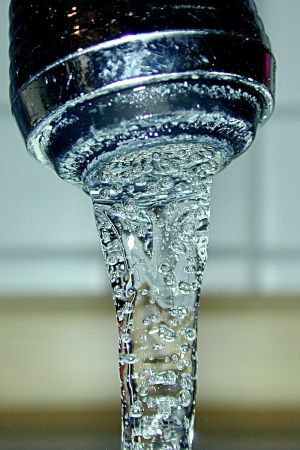 We recommend you contact a plumber if you suspect there is a problem with your water service. Leave the faucet dripping slightly. Leave kitchen and bathroom base cabinets open. Insulate pipes running through cold areas such as exterior walls and unheated spaces. Open the faucet supplied by the frozen pipe. Follow the pipe back from the faucet to where it runs through cold areas such as an exterior wall or unheated crawl space, or where the pipe enters the foundation of the house. Heat the cold pipe, starting from the side closest to the faucet. The Town of Banff recommends wrapping the pipe with towels soaked in hot water. Avoid using electrical appliances, as there is a risk of shock if the pipe bursts. Never use an open flame. If you are unable to thaw the pipe, call a plumber right away. Water and sewer are self-supporting utilities. This means that the cost of running the systems is fully funded by utility billings.